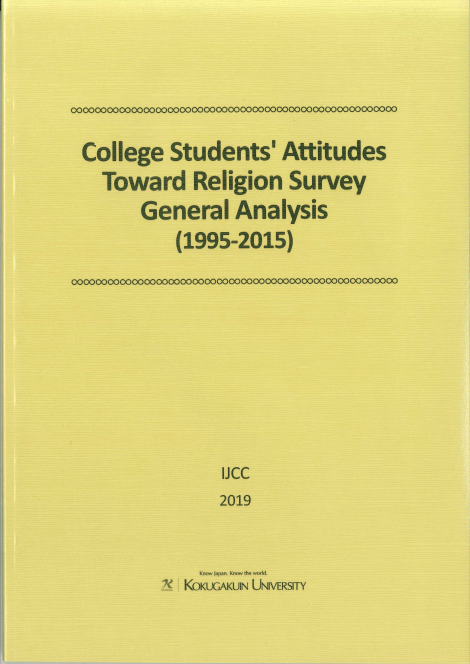 This report is a partial English translation of 『学生宗教意識調査総合分析（1995 年度～2015 年度）』(link to the original Japanese version) published by the Kokugakuin University Institute for Japanese Culture and Classics (IJCC) in 2018. The report can be downloaded through the links below (*the report is divided into sections due to large file size). *Print version is available on request. Copyright (c) Kokugakuin University. All Rights Reserved.